Lebanese priest Fadi Sarkis never met Saint Josemaría but says they have become great friends. Fr. 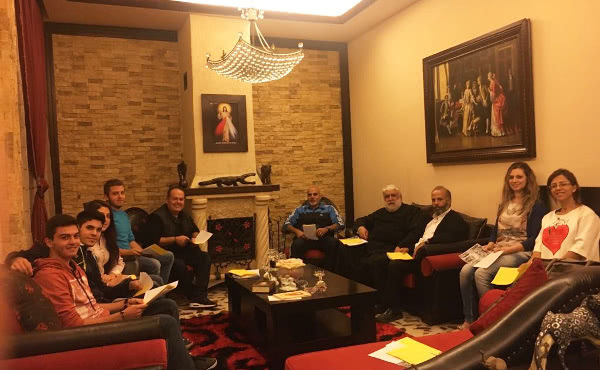 Sarkis, who lives in Beirut, is a member of the Priestly Society of the Holy Cross. Abuna is how priests are addressed in Lebanon and in general in the Middle East. An Arabic word that means "our father," it expresses the closeness of the pastor to his people. Abuna Fadi Sarkis was born in a small village in the Lebanese Chouf area south of the capital, close to Sidon. He grew up in a deeply Christian family in the Maronite Catholic Rite, one of the most common rites in Lebanon. From a young age he felt God guiding his way. In the testimony that follows, he talks about how he discovered his vocation to the priesthood amid the long Lebanese civil war. "Since my childhood, I was fascinated by the life of Jesus and have always felt a great devotion to the Blessed Sacrament. When I was ten, I was in a very serious accident and the doctors told my parents that there was nothing else they could do for me. Everyone expected me to die. I was in a coma for a week, and finally woke up to the sound of church bells ringing nearby. One of my uncles said to my mother, 'No one thought we would have Fadi with us here again! Surely God must have some plan for him.' When I heard that, I began to wonder what God wanted from my life. "I eventually entered the seminary when I was old enough. I have always believed that my vocation is due to the prayers of a nun who, for 30 years, paid visits to the parishes of Sidon, praying specifically for priestly vocations. "At age 22, I needed to decide whether to chose the path of celibacy or that of a married priest, because that decision has to be made before receiving the sacrament" (in the Eastern Catholic Churches, the sacrament of Holy Orders is also conferred on married men). "I asked for a year to think it over, and in that year I discovered the importance of dedicating myself fully to the parish, because I had lived unique experiences during the hard civil war. I saw that there needed to be priests completely dedicated to their ministry. 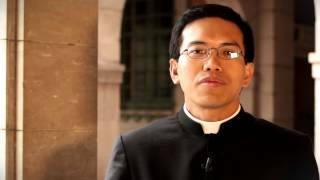 So I decided to return to the seminary and dedicate myself exclusively to the priesthood." 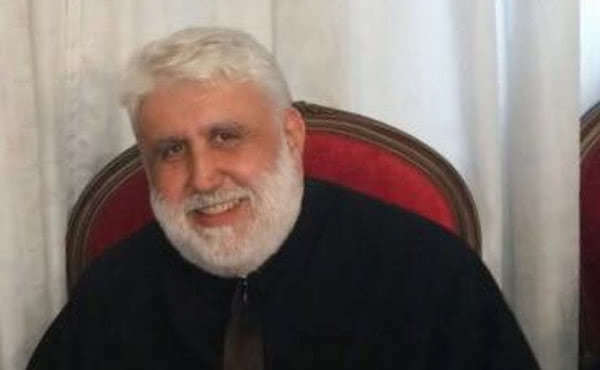 Sarkis was ordained a deacon on 28 June 1988, and a priest on 1 October of the same year. He celebrated his first Mass on 2 October 1988, and later discovered that this date coincided with the 60th anniversary of the founding of Opus Dei. 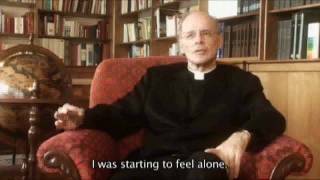 The first months as a priest were not easy. Lebanon was in the final years of the war, and the young priest was kidnapped just nine months after his ordination. "At first I thought that God only wanted those 9 months of priesthood from me. I gave thanks for everything in my life, and awaited the moment of my execution." Why was he kidnapped? "I was a young priest and very enthusiastic. I organized many activities for families and young people. 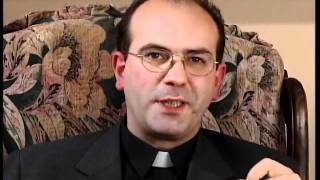 Maybe they weren't used to priests like that in the region." But eventually, he was freed and returned to his usual priestly work. His father advised him to move to another place, since "a wise man doesn't allow himself to be tested twice." But his mother encouraged him to stay, saying: "No, my son, do your work and may God protect you. But don't expose yourself to danger unnecessarily, and don't leave your people alone, because they need you." Sarkis continued his service at that parish in Sidon for 3 years, and later traveled to France to specialize in pastoral theology. He then returned to the diocese of Sidon and was appointed secretary general until 2006. He is now a parish priest in the Chouf and teaches religion classes in a school in the diocese of Beirut. "I knew about Opus Dei long before the first members arrived in Lebanon. In 1986, a cousin of mine told me that he had attended their activities of formation in Italy. Twelve years later, in 1998, some young Spaniards came to our parish who had also received Christian formation thanks to Opus Dei. They stayed with us for ten days, helping us to rebuild the village church. "Soon after, a priest from the Prelature came several times to visit the Maronite bishop of Sidon. He always left some prayer cards of Saint Josemaría on my desk, but I filed them away in the bishop's drawer, without thinking much about them. "Nine years later, when I began my pastoral work in Beirut, I received a call from that priest. A few days later, he came to visit me at the school where I worked and from that moment on we would talk frequently. In one of those meetings, he asked me to correct the foreword for Christ is Passing By, which had recently been translated into Arabic. I accepted. Later, he asked me to correct the first chapter and I also did that. Then he told me: 'Frankly, I need you to help me correct the whole book.' I agreed to do it, since summer was beginning and I had less work." While reading the book, Abuna Sarkis discovered "the special priestly personality of Saint Josemaría Escrivá, who illuminated the Church with great lights regarding the search for holiness in ordinary life." He says that "many saints have done great things for the Church, but what distinguishes Saint Josemaría is the fact that he reminded people of the importance of sanctifying their ordinary lives. I had also experienced the need for this in my personal life, and it gave expression to what I already believed in my heart. It is something that is hard to describe. "Josemaría confirmed me in a conviction I already believed and practiced, though they were ideas I kept inside. When I discovered that a saint was saying this, and taught that simple and fruitful spirituality, it confirmed me even more in this conviction, and I decided to follow in the footsteps of the saint of ordinary life." 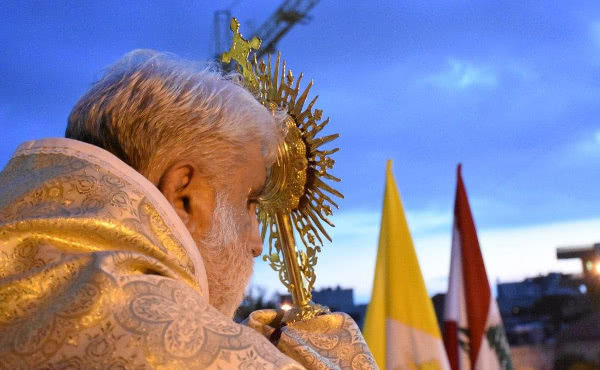 Among the convictions confirmed in the life of Abuna Sarkis was the centrality of the Eucharist and the importance of praying the rosary, of the monthly retreat, of reading a pious book and living order in the spiritual life, as well as the importance of the sacrament of confession. "These are wonderful things that help souls to walk safely without getting lost." 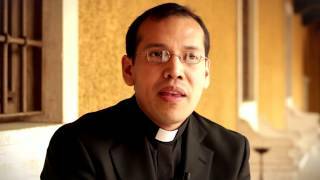 The spirit of Opus Dei helped him in his priestly life, and he decided to request admission to the Priestly Society of the Holy Cross. "When I look at some things in Saint Josemaría's life, I feel as if I am looking at myself in a mirror." For example, the serious accident in his childhood; the central place of the Eucharist in his life; working with a crucifix on the table to keep the presence of God, among others. "It all started with a prayer card; then the chapter from a book. And then I went more deeply into the spirit, and discovered the indescribable reality of letting oneself be led by divine filiation." Abuna Fadi insists that the Priestly Society of the Holy Cross "has only one concern: assisting the spiritual life of the priest." "My heart was asking for Love"
3. "To succeed you need not act like a man"